I have been wanting to expand the last days of Jesus lessons. I have them very condensed for my age group and because of the weeks I have them vs. the lessons I want to teach. So, I taught this after The Triumphal Entry and Jesus shows His disciples the Lord's Supper. Some of this happens just before and some just after, so they are part of this lesson, just as review and to put them in the correct order for the students. Scripture reference is Matthew 26:1-56. Before Jesus went to the upper room, some of the Chief Priests and Scribes were discussing how to get Jesus killed, but they wanted to wait until after the Passover. Last week we talked about Jesus in Jerusalem. Jesus sent His disciples to find the donkey for Him to ride. 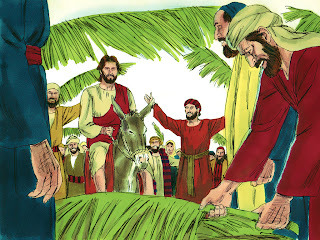 When Jesus was on the donkey that had not ever been ridden before, the people shouted Hosanna! That means Savior or one who will save others. Everyone was in Jerusalem to celebrate the Passover. 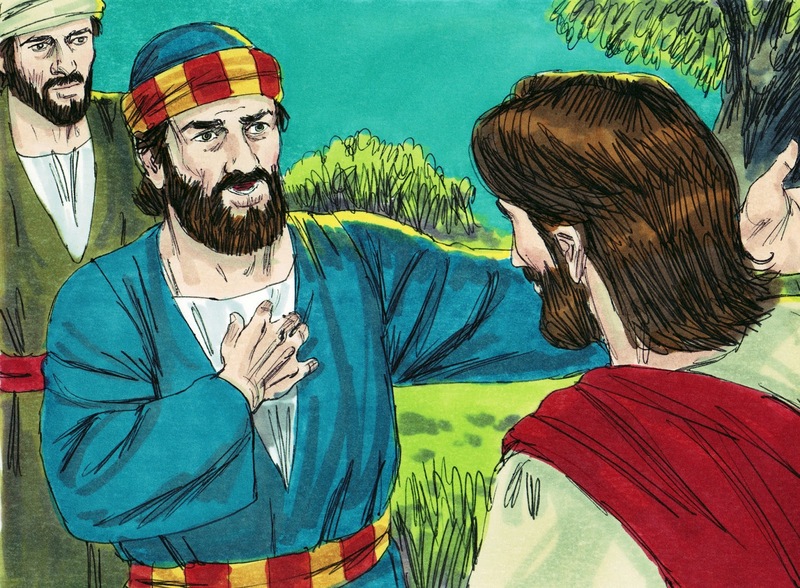 Jesus told Peter and John (Luke 22:8) to look for a man carrying a water jug. 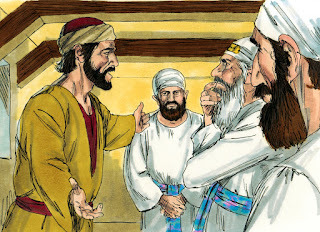 And, they were to follow him and set up the upper room for them to use. Jesus arrived in the evening and showed His disciples the Lord's Supper. (Mk. 14:22) Jesus took the bread, prayed and broke it. He gave them a piece and said “Take, eat; this is my body.” Then Jesus took a cup. He gave thanks and handed the cup to them and they all took a drink. Jesus said “This is my blood of the new covenant, which is shed for many.” A covenant is a pledge or a promise. They sang a hymn together, then left the upper room and went to the Mount of Olives. Jesus told His disciples that they would leave Him, but after He was raised from the dead, Jesus would meet them again in Galilee. Peter told Jesus that "Even if all the disciples were to leave Jesus, he would never leave Him!" But, Jesus told Peter that Peter would betray Him 3 times before the rooster crowed. 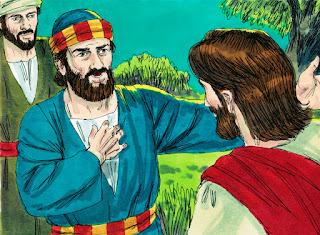 (Matthew 26:31-35) That will be our lesson for next week. They came to a place called Gethsemane. Jesus told the disciples to sit here while He went to pray. He took Peter, James & John with Him. 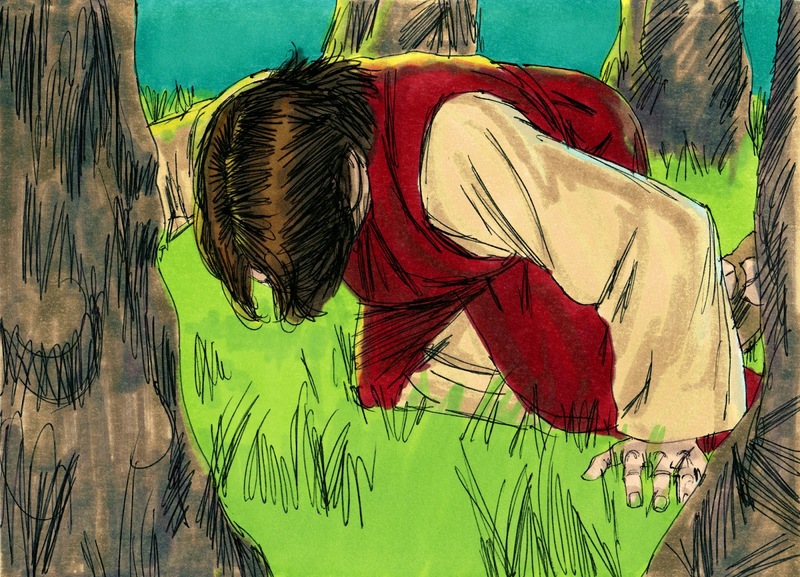 But Jesus was so sad that He told them to keep watch while walked a little further away to pray. Jesus was really upset knowing what was going happen soon. Jesus had His face to the ground and asked God to let this pass, but He would do what God wanted. 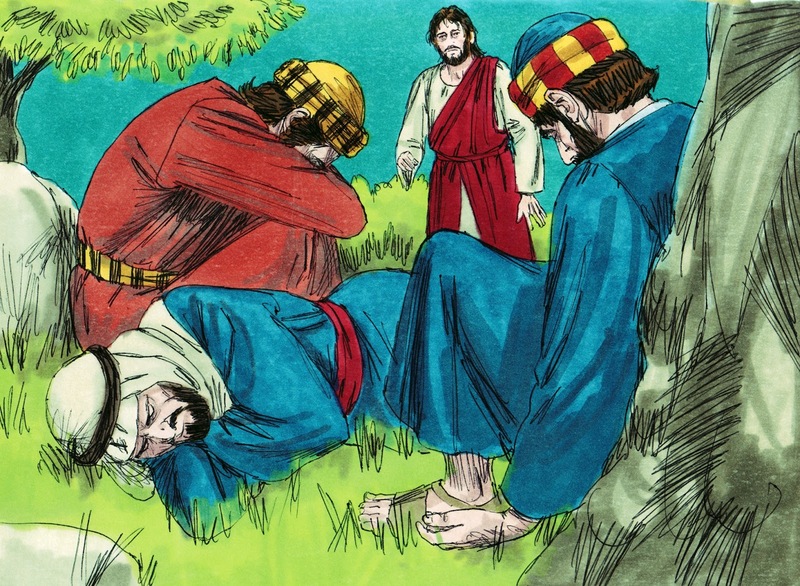 When Jesus went back to His disciples, they had fallen asleep. Jesus asked them why they couldn't just stay awake for an hour! Jesus did this three times, and went back to His disciples. He told them that the betrayer was close. At this time, Judas came with a lot of people. They had swords and clubs with them. 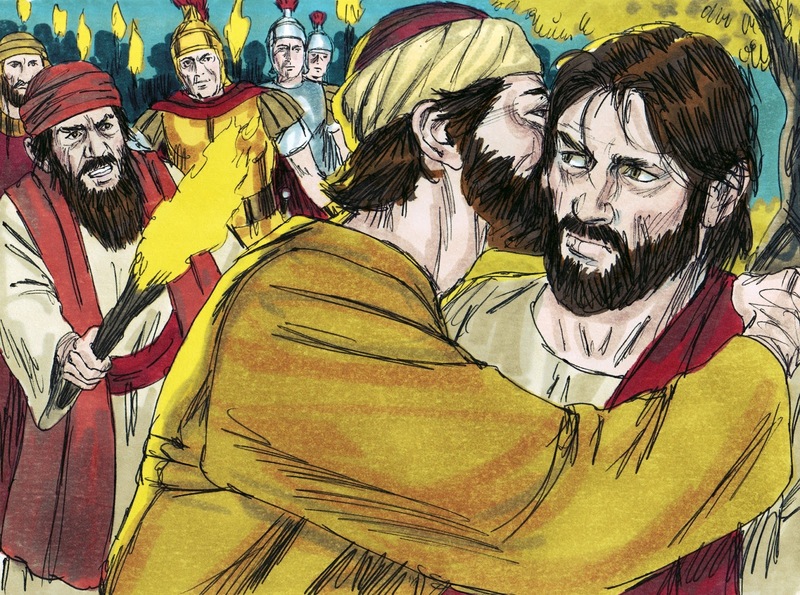 (Matthew 26:47) Judas kissed Jesus which was the sign that told who Jesus was. They grabbed Jesus! Peter, a Disciple, took his sword and cut off a servant of the High Priest's right ear! 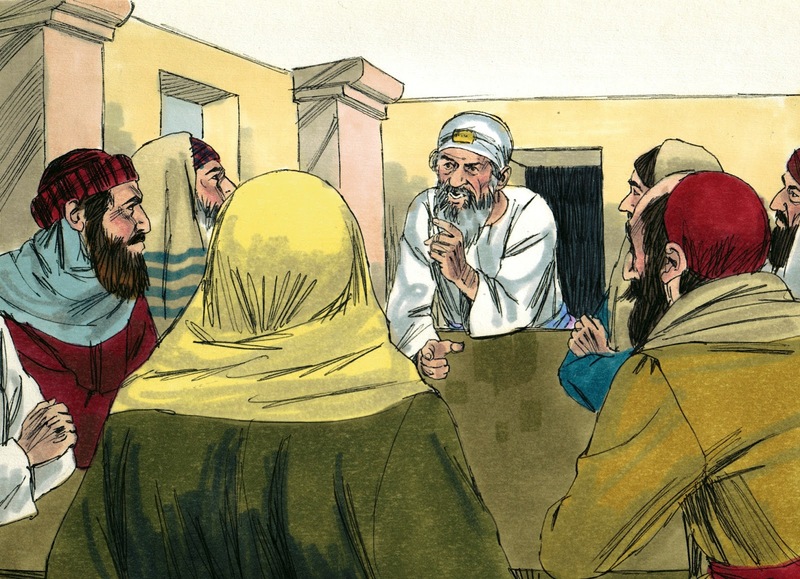 His name was Malchus. 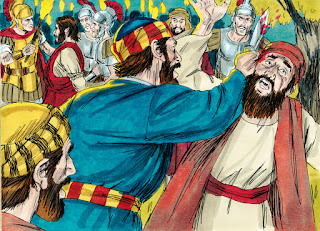 Jesus touched Malchus' ear, and he was healed. Another miracle! Then all of the disciples of Jesus ran and left Jesus! Just like Jesus had told them they would do! I like using what I call discussion starter worksheets. 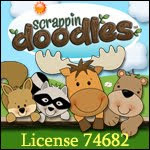 We can review what was taught in the lesson and apply it to something the kids can use in their life. This worksheet is in color and black & white. There are directions included in the download with ideas for questions to begin the discussion. Click here to download the discussion worksheet. This worksheet was created for this lesson, but can be used with the condensed lesson also. For these Bible verses, I kept them simple. I have been revising the Bible verses with a simple graphic and just the scripture in black & white. I have been printing them on color paper. 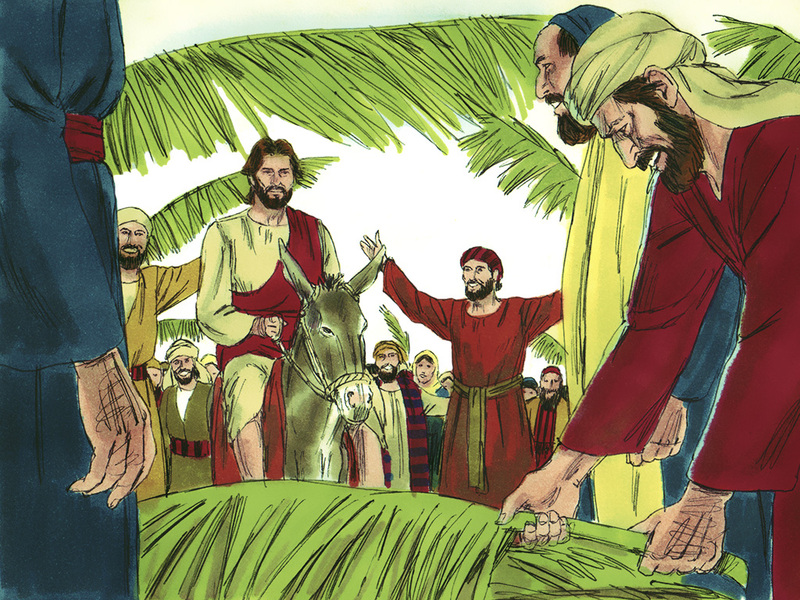 The Triumphal Entry is the first lesson in this series, then you can see the very condensed lesson here, or Part B and Part C for the extended lessons. 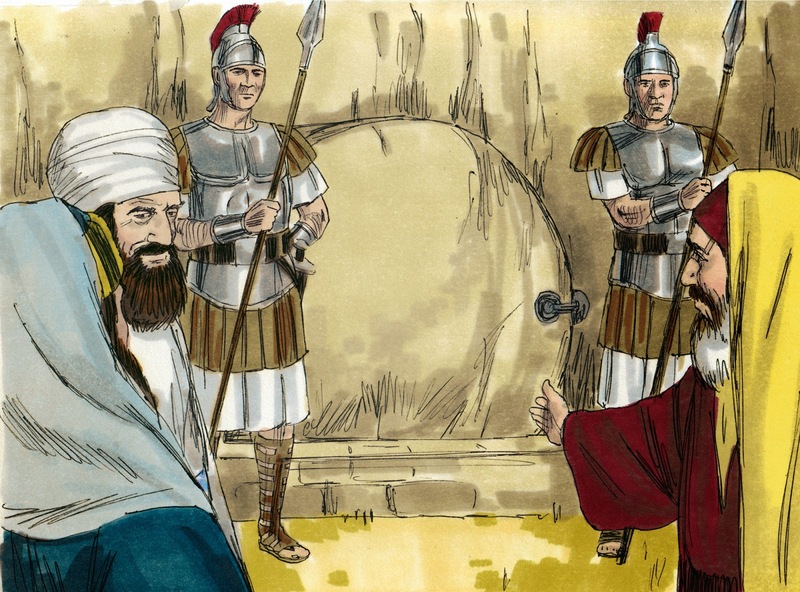 Click here for Peter and the Trials. Jesus Crucified and Lives Again is here. Am I too late for lessons B and C? Peter denies Jesus Jesus Crucified and Lives Again are the titles. Denise, the other two lessons will be posted in the next couple of weeks. Thanks for stopping by! 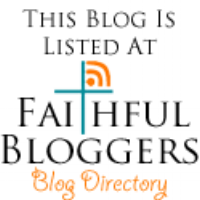 Hi Debbie, I find your blog very resourceful. Thank you for the free download. 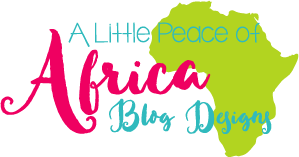 Great lesson and resources! Praying your Sabbath is blessed! Thanks for the Bible Study Debbie, we will go over it tonight with our kids during our devotion time. I also shared it with my Facebook friends, some of which are Sunday School teachers. Thanks so much for sharing Matt! I appreciate it and thank you for the comment. This is my first time here. I am a busy homeschool mom to four but volunteered to teach the 5 yr olds at church. I am so grateful for your resources! Thank you so very much! May the Lord richly bless you!! !